Below are a few of the podcasts that I have produced over the past 7 years to give you a look at the quality of work I can do for your show. When I form a relationship with a podcaster, I want to see their show grow as much as they do and will work as hard as I can to produced and edit the episodes like it was my own show. YouTube Creators Hub is a podcast for YouTube creators looking to grow their YouTube channel for business or personal use. The podcast is hosted by Dusty Porter who is YouTube certified and knows his stuff. If you are looking for YouTube Strategies, Tips, and Tutorials this is the place for you. Welcome, we are thrilled you popped into our neck of the woods. 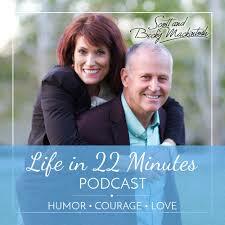 Life in 22 Minutes is a podcast interviewing courageous people that inspire, give hope and bring a smile to your face in only 22 minutes. Our goal is to help you realize you don’t have to wait for everything to be perfect before you decide to enjoy your life. Podcasters Unplugged is a show for people who are looking to start a podcast OR already have a show and are wanting to learn how to grow and monetize their podcast. Dusty Porter has been creating online content for over 10 years and also hosts the YouTube Creators Hub Podcast. Discover how you can create multiple passive income streams from podcasting that work for you personally, so you can have the freedom and time you deserve. Featuring amazing guests inspired by Tim Ferris, Tony Robbins, Pat Flynn, John Lee Dumas, Podcast Answer Man and more! If you are a podcaster you need to be listening to this show.